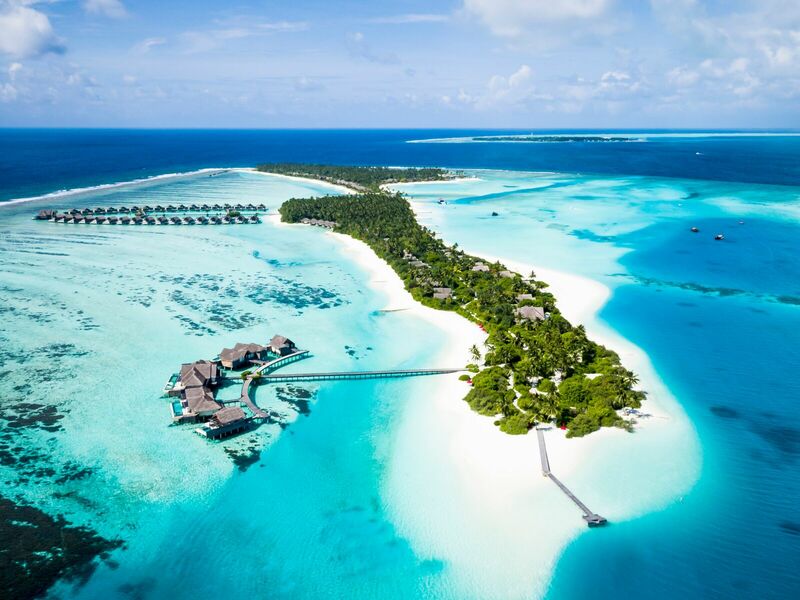 With its warm weather and water, consistent swells, light variable winds, and a full selection of perfect waves wrapping around palm tree covered islands or breaking on offshore reefs in the middle of the crystal clear waters of the Indian Ocean, and even a few sheltered reform waves for beginners the Maldives is one of the world’s great surf destinations. Look no farther than The Perfect Wave, the world’s largest surf travel network and leading surf experience operator in the Maldives to answer all your questions and make sure organizing your surf holiday is as easy as can be. 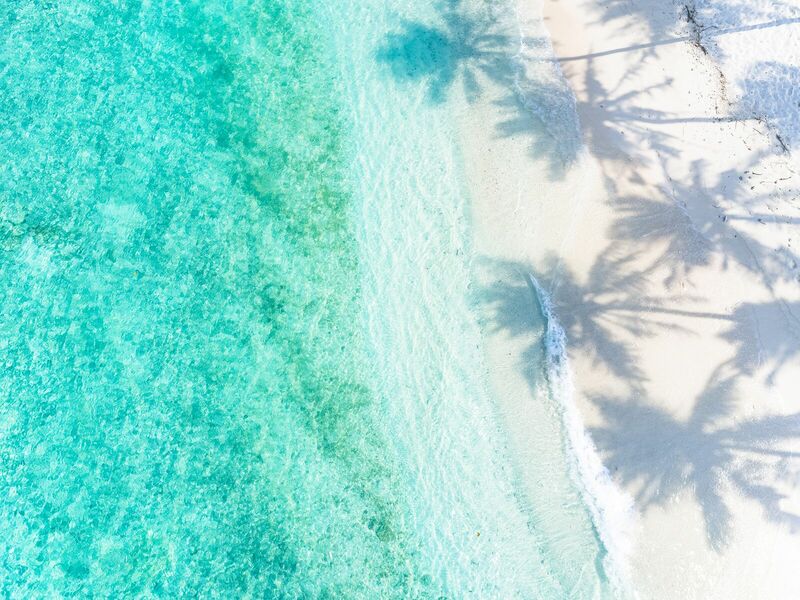 Located in the Indian Ocean, the peak swell season in the Maldives is July and August, but depending where you travel in the chain of 26 tropical atolls, there can be quality surf from the beginning of March until the end of October. All trips start from the international airport in the capital of Malé in the center of the archipelago from where you’ll board your surf charter boat, take a boat transfer to your resort or surf camp in Malé Atoll area, or catch a domestic flight if you’re travelling to an atoll or going on a boat trip in the far north or south of the country. As previously mentioned, the water is as warm as in your bathtub at home. No need to weigh down your luggage with any kind of neoprene, not even a wetsuit top. However, sunscreen and a rash vest are mandatory. You should definitely consider packing a ding repair kit (or at least a tube of UV curing resin and a roll of duct tape), and an extra leash or two as well. Reef boots, a surf hat, and snorkeling gear can also come in handy. A few resorts, like Kandooma Surf Resort do have surf centers where you can buy or rent spare or replacement equipment. 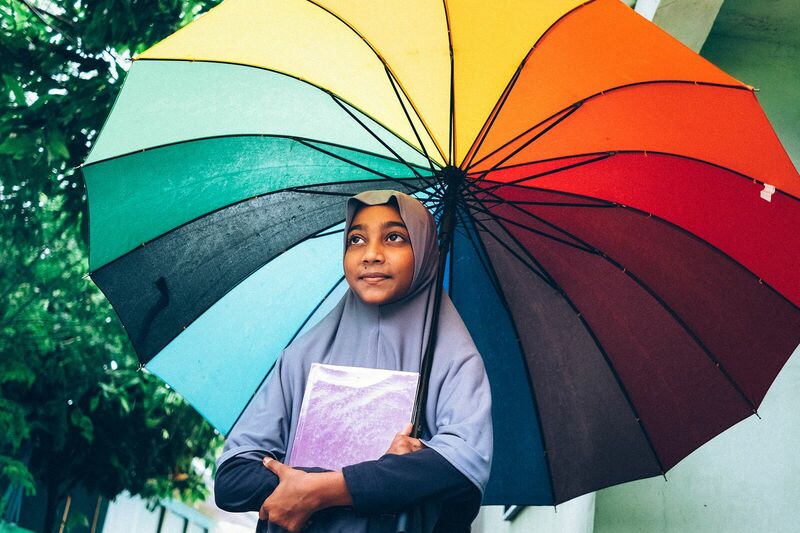 One very important thing to take into consideration about the Maldives when booking your trip, it’s an Islamic country. Alcohol is only allowed on private resort islands and boats, so if you’re looking forward to enjoying a few cold beers after a long day in the surf, keep that in mind when choosing where to stay. Also, if you do opt for an experience on an island where you can mingle with the locals like at the Cokes Surf Camp, ladies should dress conservatively and only sunbathe on the grounds of the hotel or at a designated “bikini beach”. Just like there are suitable waves for all skill levels in the Maldives, the country offers accommodation options for all budgets. Our surf experience specialists will make sure you get the best value holiday possible be it at a surf camp, on a surf charter boat or at a surf resort with a private wave and daily trips to other waves in the area. At The Perfect Wave we test all the surf experiences we offer personally to guarantee you’ll get a great quality holiday at the lowest price possible. Also, our surf concierges will take care of any special requests or needs you may have to make sure your holiday is the surf trip of a lifetime, every time. If you’re still reading, it’s safe to assume you’re not interested in the full Robinson Crusoe do-it-yourself surf adventure. That being the case, the following is a non-exhaustive list of accommodation options ranging from low-cost to high-end that we’ve fully vetted for everything from comfort level to the quality of the surf. Also, The Perfect Wave offers the largest range of surf charter options in the Maldives, so no matter your where you want to surf or what your budget is, we’ve got the boat for you. For the full list of everything we offer, click here. Cruising around the archipelago on a boat is by far the best way to be in the right place at the right time and get the highest wave count for your cash. And boats trip don’t have to be expensive. 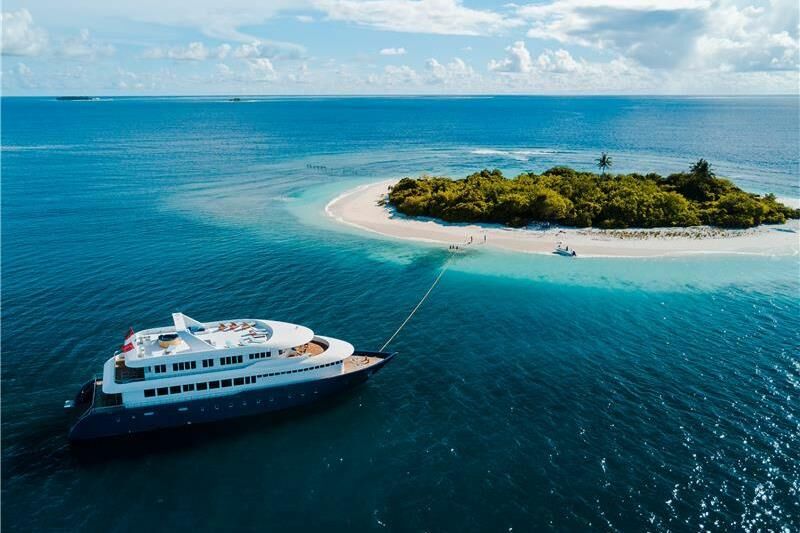 Low-cost travelers will get more than their money’s worth in the Malé Atolls aboard boats like Cobia and Surf Sojourn. If you’re easily seasick or just prefer staying on solid ground when you’re not surfing, there are comfortable, low budget offers for surfers looking to take on some of the best breaks in the Malé Atolls. On Himmafushi the long right walls of Jailbreaks await guests at the Jailbreaks Surf Hotel. On Thulusdhoo the Coke’s Surf Camp has a direct view of the line-up at Coke’s, a great high performance wave with one of the best barrels in the archipelago and the long left walls of Chickens await just across the channel. 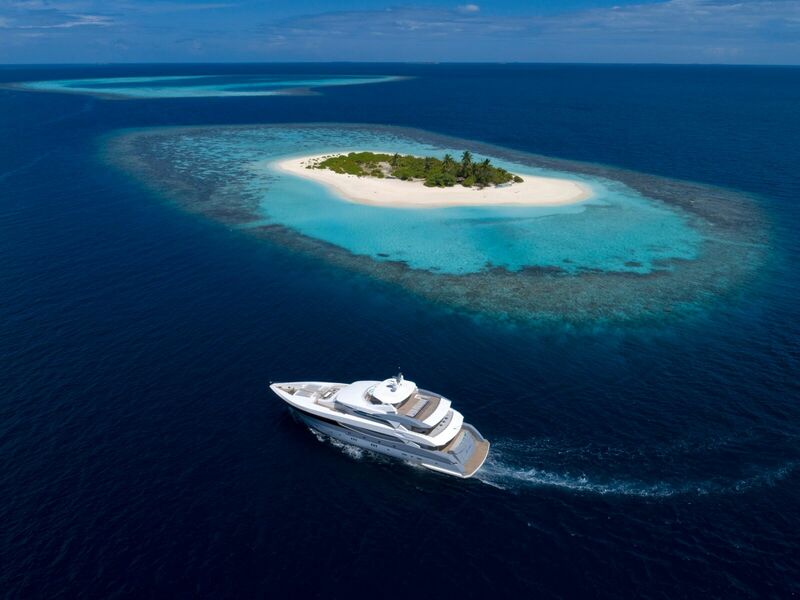 For mid-budget boat charters, the Hamathi is an excellent choice for exploratory trips to the rarely surfed breaks of the southern atolls, and the Carpe Vita is perfect for the uncrowded line-ups in the Central Atolls. 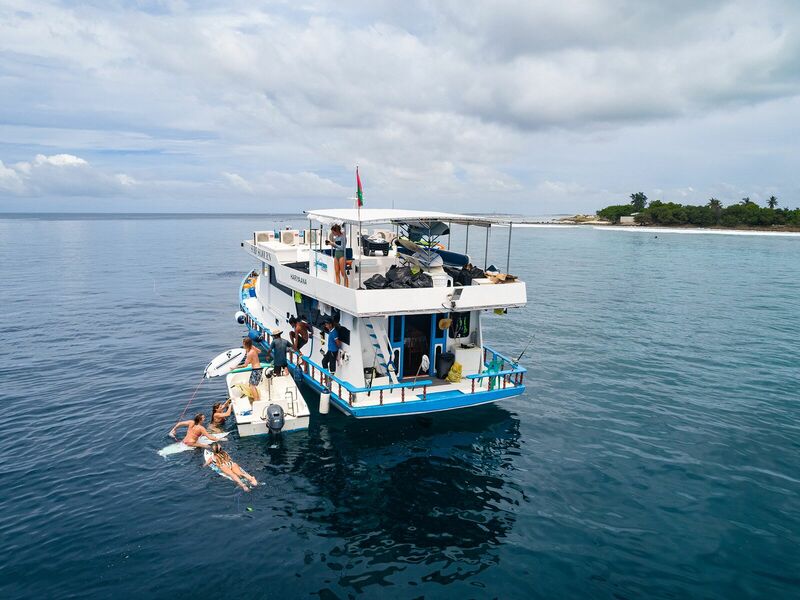 The Handy and Duplex are great boats for exploring the central atolls or sampling the more famous breaks like Sultans, Jails, Coke’s and Chickens in the Malé Atolls. 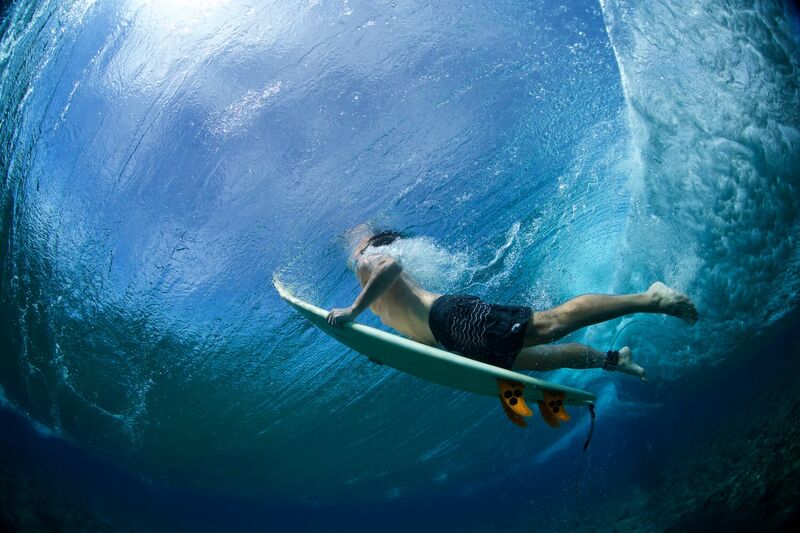 Surf Lohi’s, one of the best private lefts in North Malé Atoll at Huduranfushi Resort. The resort also offers daily transfers to whichever other waves in the area are breaking best on the day. 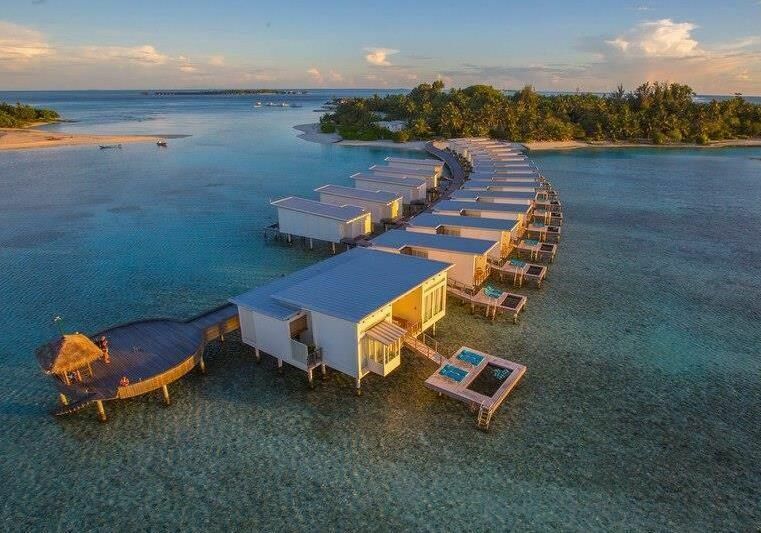 The private and perfect Kandooma Right as well as all the other spots in the South Malé Atoll area are on offer for guests staying at the Kandooma Surf Resort where the surf centre is run by The Perfect Wave. Love Charms, Five Islands and Tiger Stripes are the go-to waves for surfers staying at the Ayada Resort in the Southern Atolls. 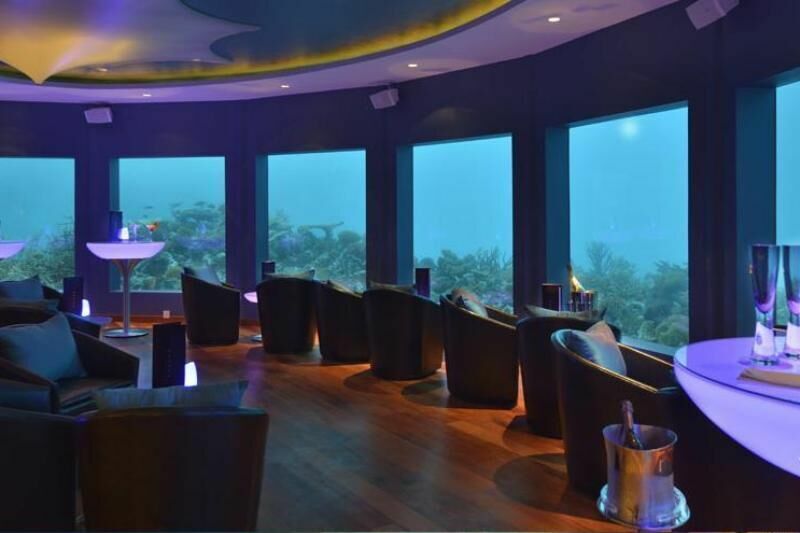 For serious luxury, the Maldives delivers in a big way. You’re guaranteed an unforgettable 5-star boat trip with all the bells and whistles aboard the Sea Rex. Look no farther than the Four Seasons Kuda Huraa to fulfill your wishes for a dream surf vacation at an amazing resort in the Malé Atolls. 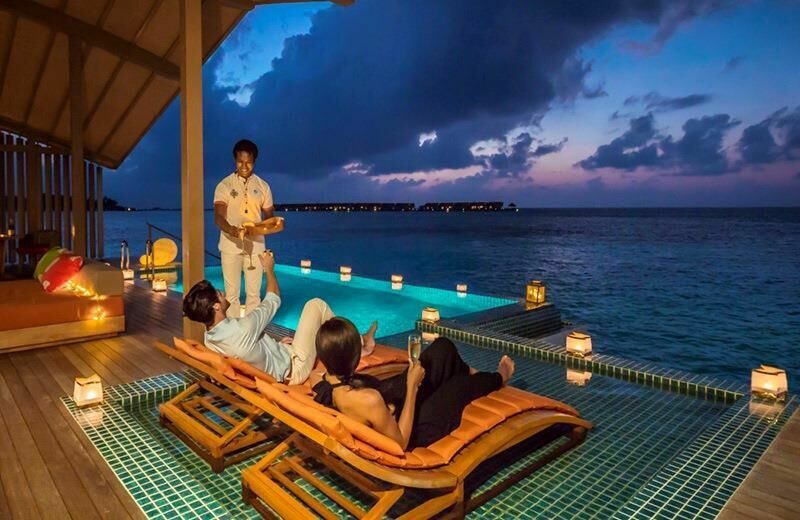 And for incredible top-of-the-line treatment and great surf in the Central Atolls, Niyama Resort and Six Senses will exceed all expectations. For any questions you may have or to reserve your trip of a lifetime in the Maldives, please contact one of our surf experience specialists.